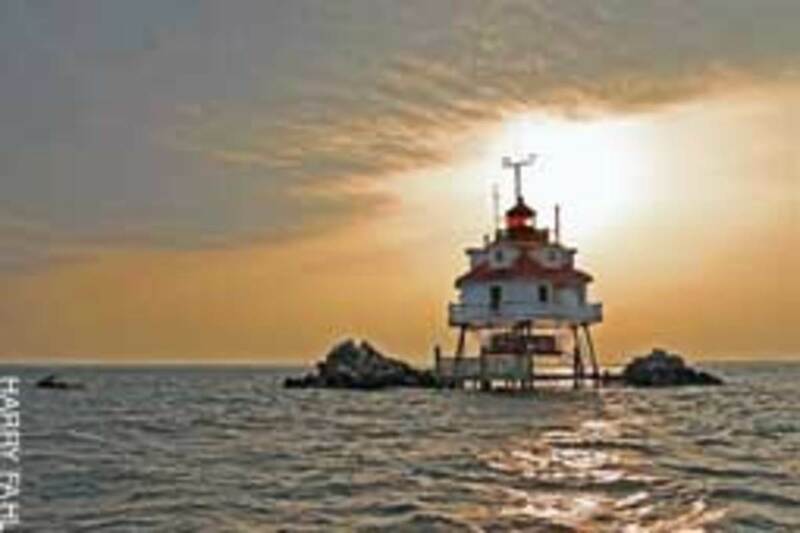 First lighted in 1883, this beacon at the mouth of the Patuxent River in Solomons, Md., is one of three surviving Chesapeake Bay screwpile lighthouses. The 46-foot cast-iron and wood hexagonal structure, deactivated in 1962, is an exhibit at the Calvert Marine Museum. 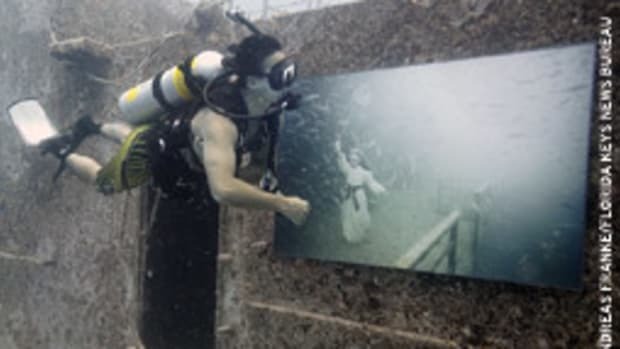 www.calvertmarinemuseum.com. The point of racing two vintage Trumpy yachts was just fun - and to test two hulls. In the end the 1939 Washingtonian, with her narrow pre-World War II hull, easily pulled away from the 1947 Aurora II in what organizers billed as the Great Trumpy Race. "These boats were never designed for speed but to move elegantly and leisurely through the water," says James Moores, whose Aurora II came up short, as he expected. 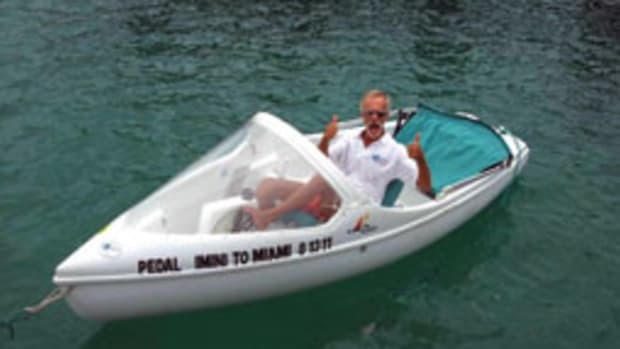 "But the question was whether the pre-war boat is faster than the post-war boat. A lot of times people think newer is better, but in this case it turned out to be the other way around." 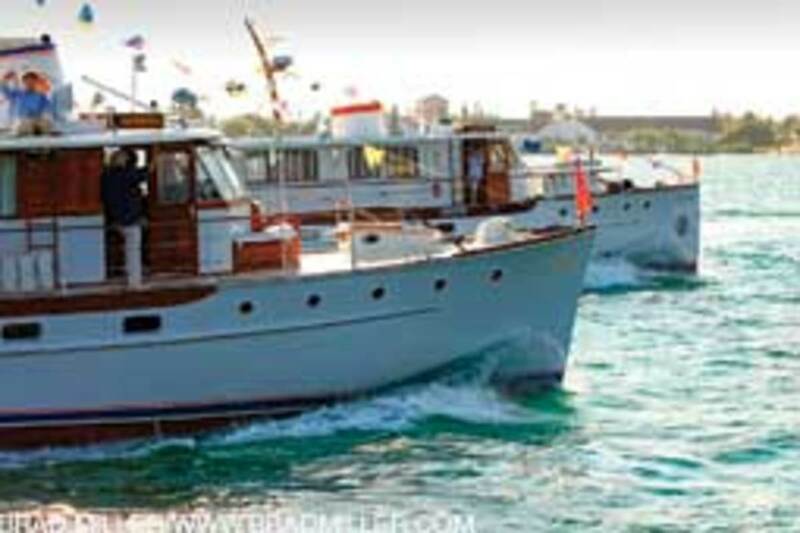 The six-mile Great Trumpy Race, held in late March on the Intracoastal Waterway off Riviera Beach, Fla., was part of Moores Marine&apos;s celebration of 25 years in business, restoring antique and classic wooden yachts. The Trumpy America, owned by Theodore Conklin of Palm Beach and Sag Harbor, N.Y., served as the committee boat, and the Rybovich Sam V, owned by Bob and Betsy Melton of Palm Beach Gardens, was the chase boat. "Everyone was a winner. It was a great time," says Paul Berger, owner of the Washingtonian. A man who robbed a Milford, Conn., bank while armed with a flare gun reportedly fell off a dock as he ran from police. The man walked into Webster Bank March 31 with the flare gun and a duffel bag and demanded money. The robber dropped the flare gun as he fled after the robbery, according to Milford police. A taxi driver told police he dropped the man off at a nearby marina. He was found hiding in bushes and attempted to elude police by jumping over a fence railing, but he fell about 10 feet onto a boat dock and then into the water. The man was taken into custody, treated for injuries and brought to a local hospital for evaluation. Police recovered an undisclosed amount of cash from the duffel bag. 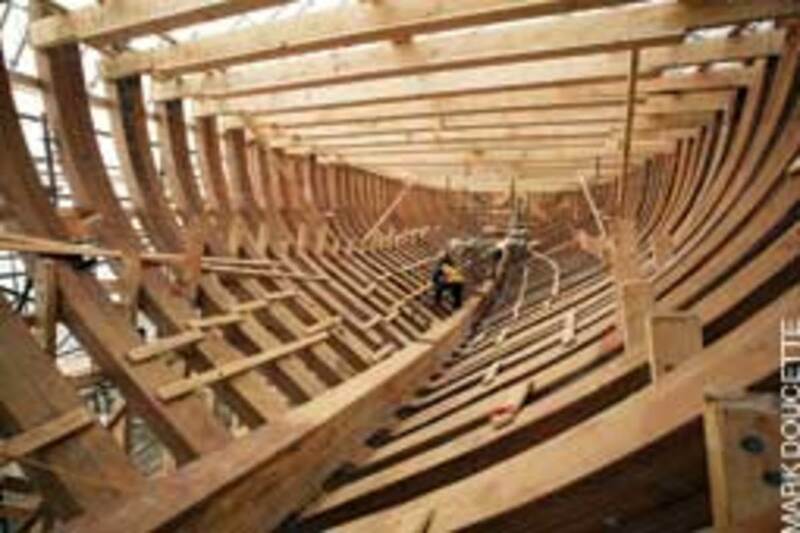 The restoration of Bluenose II is steadily taking shape in a new building on the waterfront in Lunenburg, Nova Scotia. Launched in 1963, the 161-foot schooner is Canada&apos;s sailing ambassador, and she is home-ported in Nova Scotia. 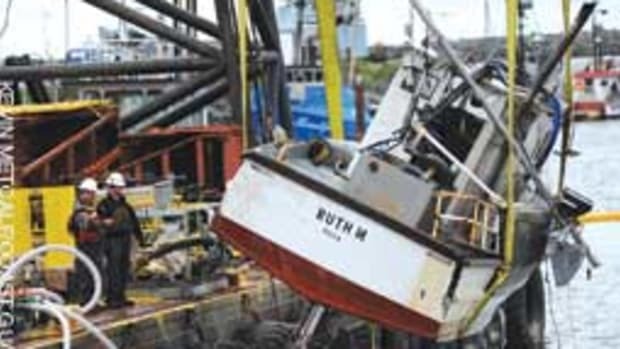 Three of the province&apos;s boatbuilding companies - Lunenburg Industrial Foundry & Engineering, Covey Island Boatworks and Snyder&apos;s Shipyard - have incorporated a new joint-venture company, Lunenburg Shipyard Alliance, which has been awarded the contract for the project. It involves designers and project managers from across Nova Scotia. Four apprentices are working on the refit and more are expected to be involved as it proceeds during the next 18 months. The apprentices are in the province&apos;s Boat Builder Apprenticeship Program - the only one of its kind in Canada. The restoration can be viewed at www.novascotiawebcams.com. Pro golfer Tiger Woods reportedly is putting his 155-foot Christensen, Privacy, up for sale. 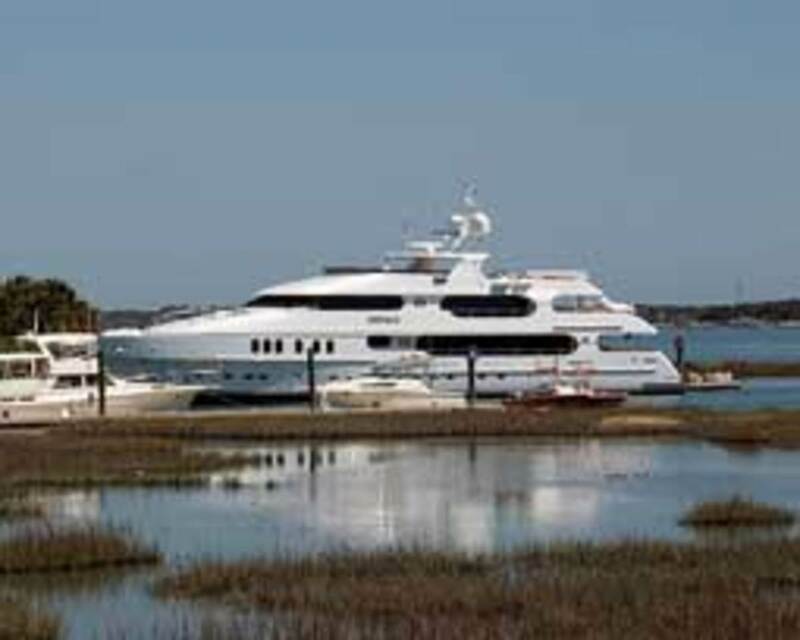 With a permanent crew of 13, the megayacht costs more than $2 million a year to maintain, The Palm Beach Post reports. Privacy spent two months in dry dock in Fort Lauderdale last fall for hull painting and deck resurfacing. The yacht is back at its home port in North Palm Beach&apos;s Old Port Cove, and Woods was shopping for a broker to list it. Asking price: $25 million. Several megayacht builders interviewed by the press expect that the selling price will likely be in the $20 million range. Woods might be looking to downsize after his highly publicized $100-million-plus divorce settlement. He reportedly has bought a newer 62-footer, which he named Solitude. For the last 35 years, the Sea Cliff (N.Y.) Yacht Club has provided sailors with a unique New York-area event, the Around Long Island Regatta. The race is as much for serious racers as it is for cruisers who want to hone their racing skills. The event is scheduled for July 28-31 and features varying sailing conditions. The race starts off Rockaway Point for an easterly ocean leg off the south shore of Long Island. After rounding Montauk Point, the boats head northwest through Block Island Sound toward Orient Point, then pass through Plum Gut. Crews are challenged with variable winds and current as they head west down Long Island Sound to finish at Hempstead Harbor. 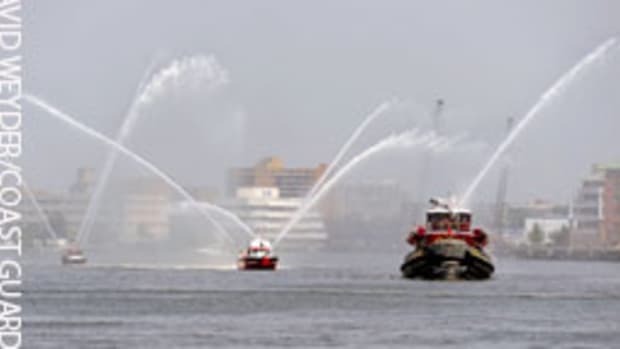 For information, visit www.alir.org or call the Sea Cliff Yacht Club at (516) 671-7374. Set to launch May 21 at Annapolis&apos; Eastport Yacht Club, the inaugural Elf Classic Yacht Race will benefit - and end at - the Chesapeake Bay Maritime Museum in St. Michaels, Md. The event was organized by the Classic Yacht Restoration Guild, and the race&apos;s flagship will be the guild&apos;s restored 1888 yacht Elf. More than 10 classics will join Elf in a race that features the nautical equivalent of a Le Mans start, in which the skippers row to their vessels, weigh anchor, raise sails and get under way. Spectators are invited to watch the 9 a.m. start at the yacht club and then spend the day at the museum. Skippers will finish the race by anchoring off the museum and rowing ashore to sign the race log at the historic Tolchester Beach Bandstand on the museum&apos;s grounds. "We are really pleased to be re-creating a bygone era of yacht racing on the Chesapeake while supporting Elf&apos;s home port, the Chesapeake Bay Maritime Museum," says Rick Carrion, the guild&apos;s president and Elf&apos;s captain. The 20th annual WoodenBoat Show returns June 24-26 to Mystic Seaport Museum, and organizers say it will be bigger than last year&apos;s show, which drew 12,500 people over three days. The museum is hosting the show for the fifth consecutive year. The showcase of more than 100 beautifully built, restored and maintained wooden vessels - large and small, old and new, power and sail, oar and paddle - is staged in a relaxed waterfront setting on the Mystic River. Cruising yachts, launches, runabouts, fishing boats, performance powerboats, daysailers, dinghies, rowboats, canoes, performance shells, multihulls and racing boats will be on display. 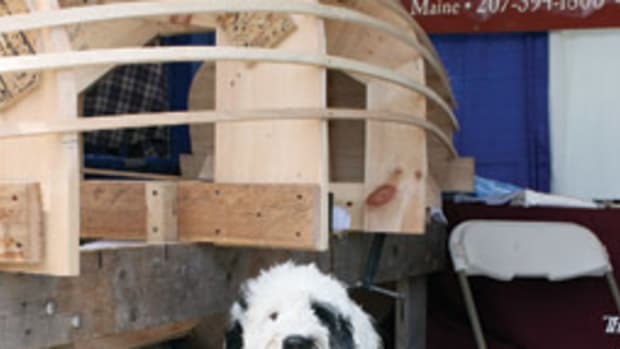 Events include family boatbuilding sessions, small-boat races, skills demonstrations and a dinner to honor boatbuilder and educator Lance Lee. Tickets range from $15 to $25. Matthew Poldy might be just 8 years old, but he beat decades-older anglers during the Key West Fishing Tournament Kickoff, which was held March 11-13. 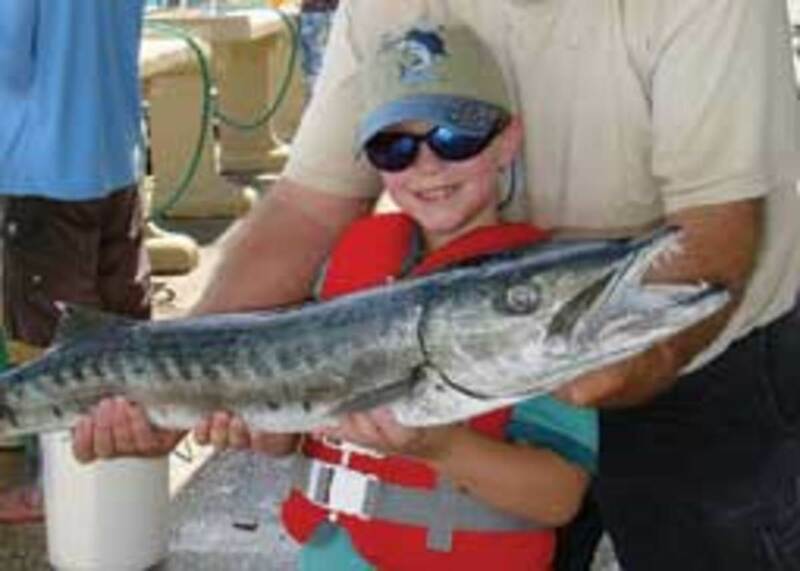 Competing in the tournament&apos;s pee-wee division, Poldy, of Oak Hill, Va., released 14 barracuda to take the award for the most releases of the species. He fished with Capt. Greg Sherertz aboard Energizer. "He handles the rod pretty well," says Poldy&apos;s grandfather, Don Poldy of Key West, who says they used strip baits and ballyhoo trolling around Pelican Shoal east of Key West. "We were there, and they were biting, so we kept letting him catch them." Greg Poldy, Matthew&apos;s father, fishing on the same boat, also triumphed, releasing the tournament&apos;s heaviest grunt at 1.65 pounds. Matthew Poldy wasn&apos;t the only young angler to garner honors. Nine-year-old Preston Giacobbi, of Key West, caught the heaviest kingfish at 37.4 pounds and the heaviest mackerel at 11 pounds. The heaviest catch in the tournament&apos;s junior division was a 48.2-pound blacktip shark boated by 14-year-old Toby Regueira, of Key West. The competition, which opened the March-through-November Key West Fishing Tournament, drew 130 anglers. 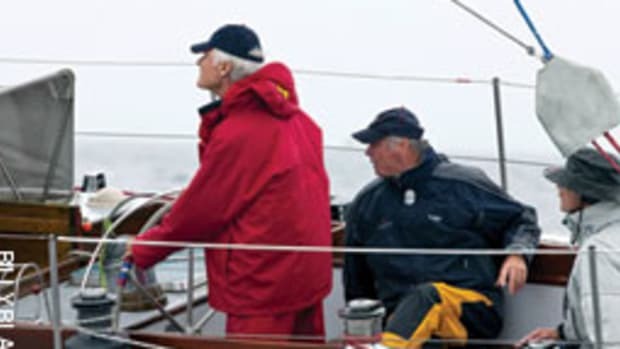 The New Hampshire seacoast in June will see a fleet of racing yachts vie for honors in the Gosport Regatta, the resurgence of a vintage sailing race around the Isles of Shoals first held in the late 19th century. 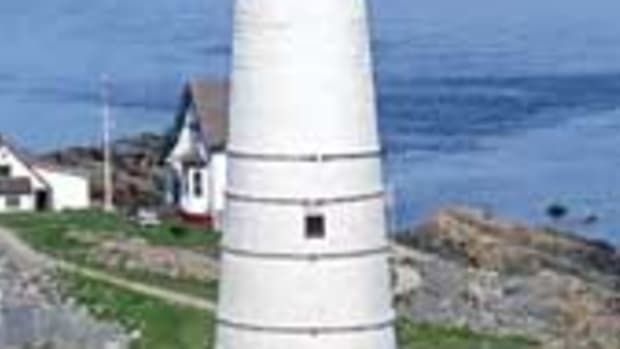 The historic regatta was revived last year, and Star Island Corp. will host the second annual regatta June 11 in partnership with the Piscataqua Sailing Association. 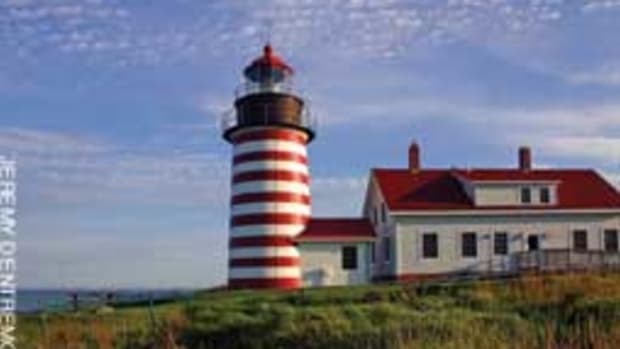 The race is expected to draw competitors from as far south as Marblehead, Mass., and as far north as Portland, Maine. A diverse fleet is expected, from J/24s to large cruising yachts. "The traditional race offers guests an extraordinary glimpse of life as it was in the 19th century at Star Island and the opportunity to experience an exhilarating race at the Isles of Shoals," Star Island CEO Victoria Hardy says. 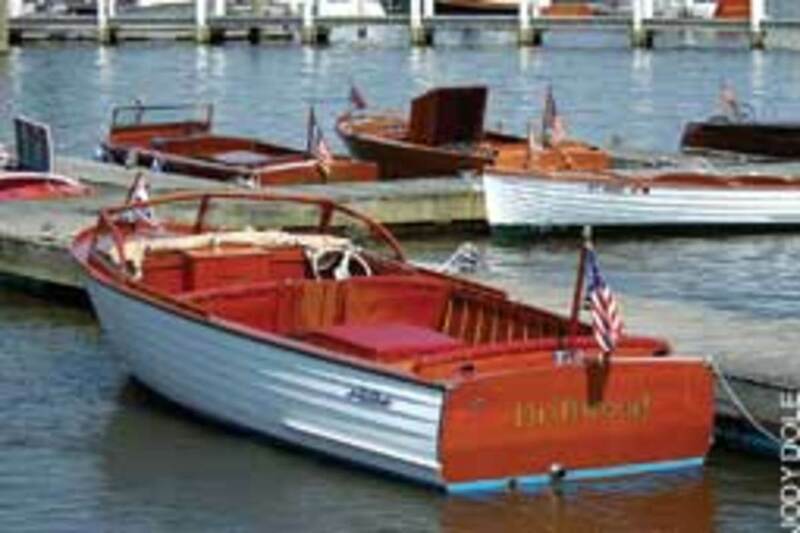 The annual Mahogany Memories Antique and Classic Boat Show is scheduled for July 9 at the Connecticut River Museum in Essex, Conn. The free and casual showcase on the lower Connecticut River offers a chance to view classic wood - and some fiberglass - boats beautifully restored by their owners, who are usually on hand to speak with visitors.